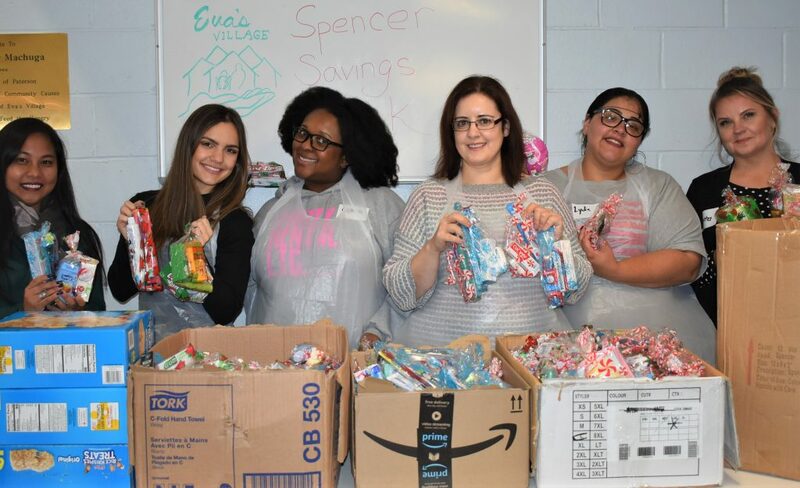 Spencer Savings Bank recently sponsored the “Fund A Meal” program at Eva’s Village to help celebrate the spirit of the season by giving back. Employees also visited the nonprofit to help serve a hot lunch meal to hundreds of needy community members. Goodie bags filled with more than 1,000 hygiene items were also distributed to the guests. Spencer is proud to partner with Eva’s Village and is a longtime supporter of the nonprofit. The bank partners up annually with the nonprofit to assist them on several programs. Spencer strongly believes in helping out community members who are undergoing a difficult phase in life and trying to better themselves. Assistance is lent to various programs, throughout the year, via financial support and volunteer time. Visit Spencer Savings Bank to learn all about the many community service initiatives the bank is currently involved with at www.spencersavings.com. For more information on Eva’s Village and how you can assist them with their life-changing programs visit www.evasvillage.org.